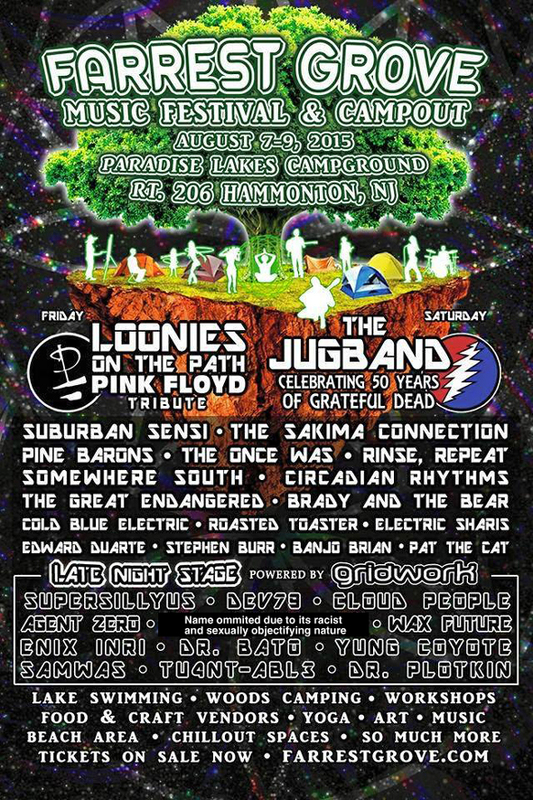 Farrest Grove Music and Arts Festival is on August 7, 8, 9 in Hammonton, NJ, way out in the Pine Barrens at Paradise Lakes Campground. Bands, art, workshops all day; and Gridwork AC's Late Night Stage will feature DJs and electronic music all night long on Friday and Saturday. Evan Wilder will perform material from Clouds 1-9 and new unreleased material by Cloud People live, outside, Saturday night/Sunday morning.